On March 28, A Soldier’s Home held a reception for some of our Washington, DC supporters. 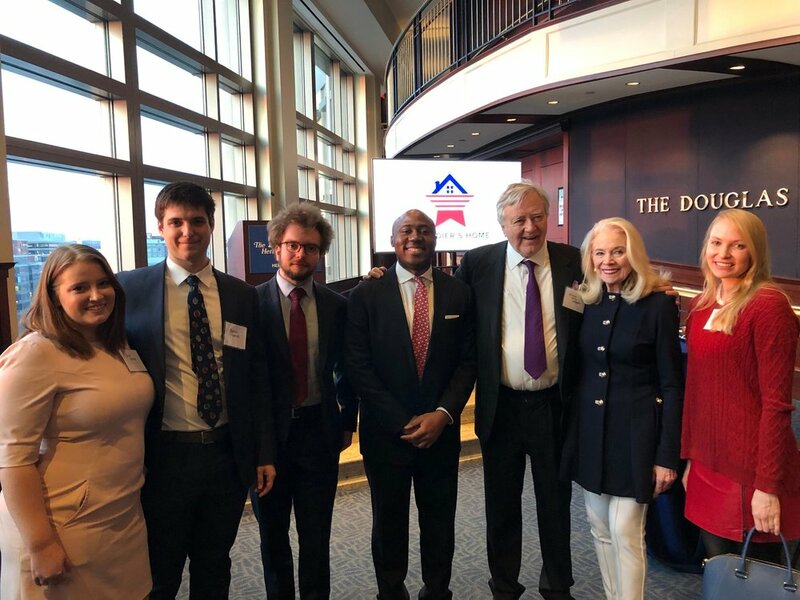 The event was hosted by Senator Larry Pressler, Penny Farthing, the Honorable Andrew Miller, and the Heritage Foundation. The event was incredibly informative, with many of our team members and most highly involved supporters giving speeches and words of encouragement. A Soldier’s Home and its’ team members felt an unimaginable outpouring of love and support for the cause. Representatives from the Senate, House of Representatives, foreign affairs, Defense Department, and health industries (among others) were in attendance.